Detroit Pistons center Andre Drummond is a potential franchise building block and the center of the future for his team. But he might not be getting a contract extension quite yet. The NBA recently moved back the deadline for rookie contract extensions to November 2nd, which buys the Pistons some time. But will the two sides be able to come to an agreement before the deadline? “Detroit Pistons center Andre Drummond and Golden State Warriors forward Harrison Barnes, according to league sources, are the players best positioned to secure a lucrative extension this month as the revised deadline approaches and negotiations in both cases continue. 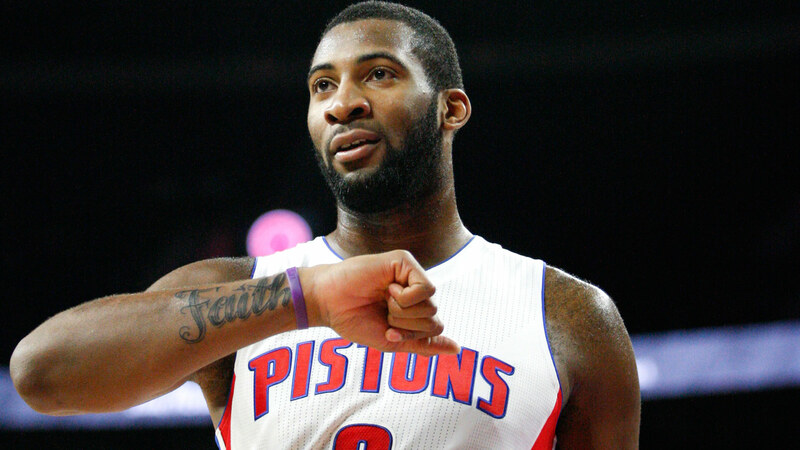 Drummond could potentially land a five-year deal worth around $120 million if he earns Designated Player status from the Pistons. The Washington Wizards' Bradley Beal is another obvious extension candidate, but it's believed the Wizards hope to convince Beal to hold off on a new deal until next summer — much like the San Antonio Spurs did last season with star swingman Kawhi Leonard — because the delay could lead to Washington having nearly $10 million in additional salary-cap space in the summer of 2016 when it intends to make a run at D.C. native Kevin Durant in free agency.